The photo above only highlights my frustration about my current situation. That is, the need to complete five rings in a brief amount of time while also suffering from a lack of inspiration. Time to go to the library for a little creative boost. 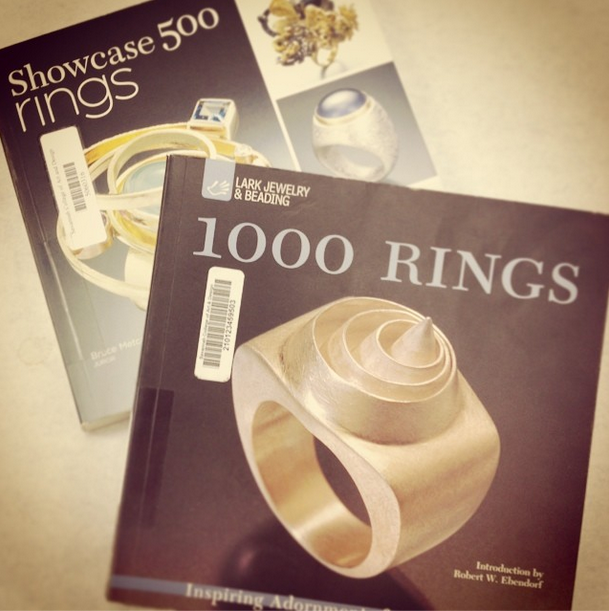 Showcase 500 rings: new directions in art jewelry. Ashville: Lark Crafts, 2012. 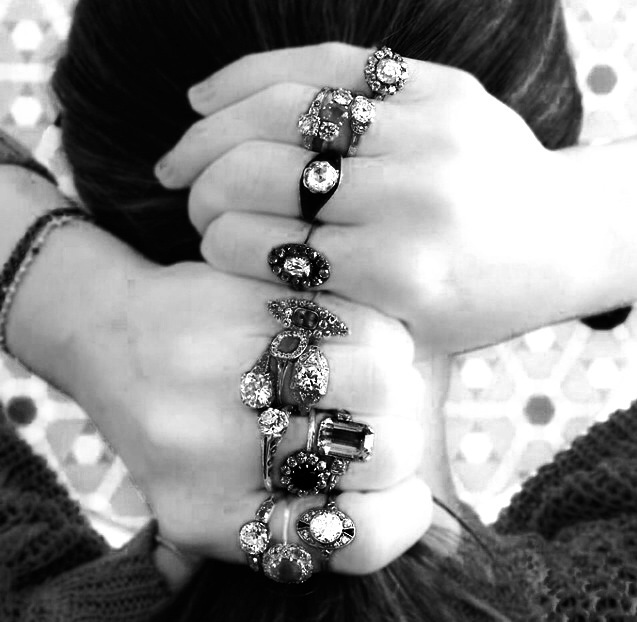 1000 rings: inspiring adornments for the hand. New York: Lark Books, 2004.